Boogie Woogie owes much to Pete Johnson, pianist from Kansas City. He began his musical career as a drummer before becoming a pianist. He accompanies the singer Big Joe Turner with whom he recorded Roll 'Em Pete, one of the first rock' n roll. 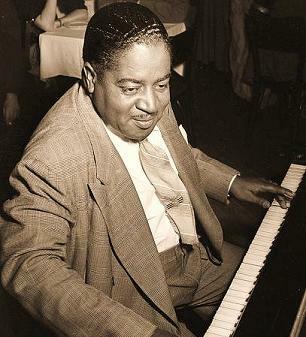 He played in many clubs in New York including the famous "Cafe Society", sometimes alongside colleagues Albert Ammons and Meade Lux Lewis. He recorded many piano solos in the '40s before moving to Buffalo in 1950. On December 23 1938, was held at Carnergie Hall the concert that launched the Boogie Woogie madness: From Spirituals to Swing involving Pete Johnson, Albert Ammons and Meade Lux Lewis and other great jazz names such as James P. Johnson, Count Basie and Benny Goodman. It was the first time that black artists played in this prestigious hall. It was a great success, and the beginning of the Boogie Woogie craze.